After raising the expectations of a big part of the community, the long-awaited film “Crypto” premiered in American movie theaters, with its first function in New York City last Saturday. “Crypto” tells the story of an agent investigating a corruption scheme involving extremely powerful people. This clandestine network uses cryptocurrencies (of course) as mechanisms to maintain secrecy, launder money and make illegal transactions. The film seemed quite promising. The cast included internationally renowned actors such as Luke Hemsworth (Westworld), Alexis Bledel (Sin City), Jill Hennessy (The Blacklist), Malaya Rivera (American Horror Story) and Kurt Russell (Guardians of the Galaxy Vol. 2). Director John Stalberg also had the support of Carlyle Eubank and David Frigerio to write the script. Despite the talent of the actors, the critics did not agree on a consensus about the film. For some it’s a good job while others find it regrettable. The film has exactly 50% acceptance in Rotten Tomatoes and a similar score in IMDB with 5/10. “I get that all three writers are amateurs, but didn’t the producers at least pick up on the need for a fine tune/re-write of this convoluted mess of a script? Putting aside the critics, just the fact that cryptocurrencies made their way into Hollywood is something worth noticing. Crypto and blockchain tech are slowly becoming part of the pop culture and perhaps they will soon permeate more instances of our everyday lives. At the end of the day, the opinions are as heterogeneous as the tastes of the viewers. 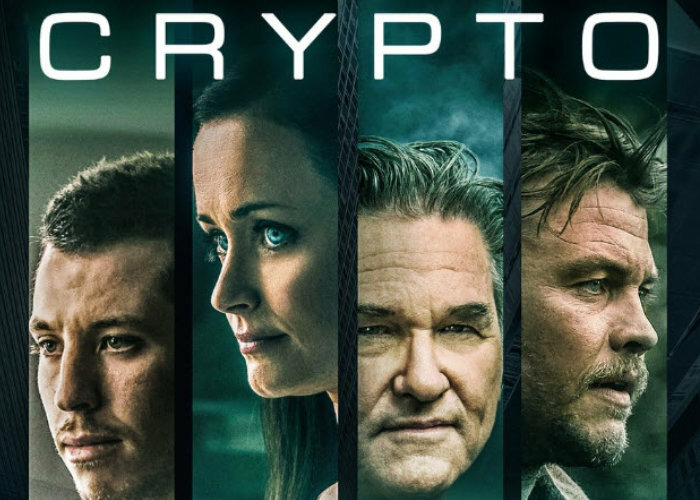 However, the final word is for each person, and with a movie where 50% love the plot and 50% hate it, it’s best to go to the cinemas, buy a ticket to “crypto” and let fate surprise you.